The US Government Shutdown of 2018 - 2019 was recorded as the longest halting of federal government operations in American history. The shutdown lasted 35 days and resulted in the temporary halting of non-critical functions and resulted in many government employees being furloughed or working with delayed wage payments. Temporary funding of regular government operations was authorized on January 25, 2019. 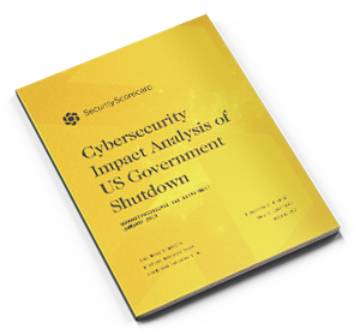 SecurityScorecard's research indicates that it can be confirmed that certain aspects of the US Government’s Network Security score dropped during the course of the shutdown, specifically as a result of an increase in the number of expired SSL certificates that were detected on the public internet. However, unexpected results surfaced that indicated that two important scores improved during the course of the shutdown - specifically, Endpoint Security and Patching Cadence.